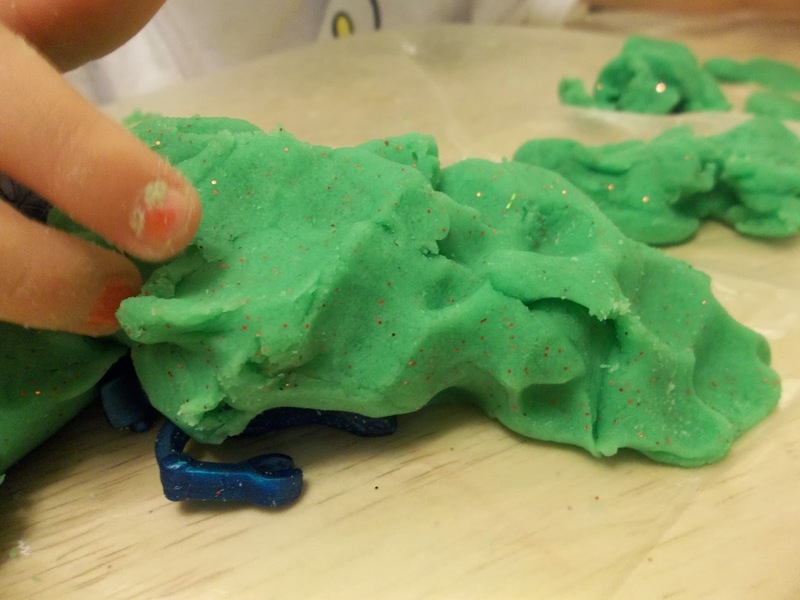 Click here for an AWESOME Home-made Play Dough Recipe! These kinds of projects are my favorite, where you can switch it up depending on the season or mood! 🙂 We chose red glitter and decided to make our dough the color green because we were feeling festive! 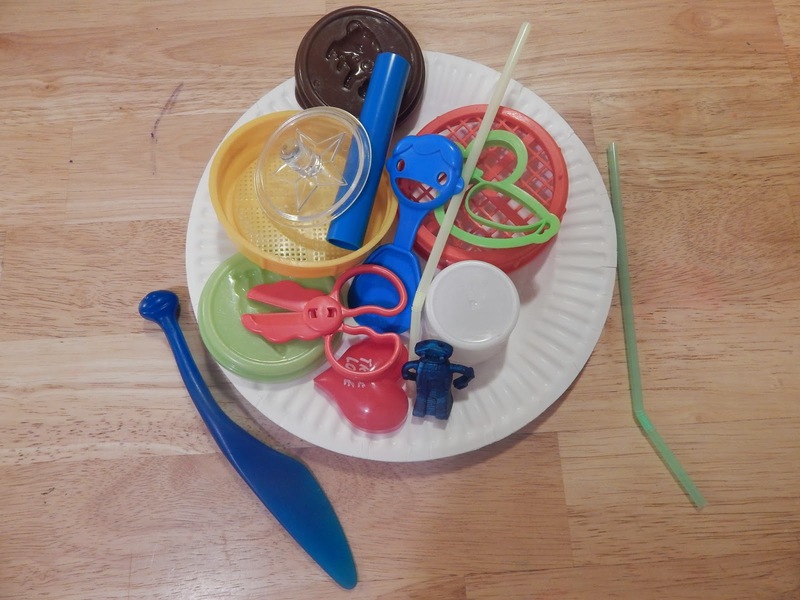 Look around your house for items that could be used with play dough that would otherwise be looked over or thrown out. It might surprise you what you can find when looking at items with this in mind. For instance, at the bottom of my picture there is a heart shaped lid to a small box of candy that was given to me one Valentine’s day that is perfect for cutting heart shapes with play dough! You might also be surprised to see a child who normally doesn’t like to play with play dough much, be totally engrossed with it once you add a few fun toys and tools! Side note: We have also made Halloween glitter dough (we did orange play dough with purple glitter but of course the options are endless..:)Perfect for this “stay indoors more” time of year!! About the Author: Kimberly loves sunsets, hates worms (believe you me, I have a story or two to share), adores (adore is stronger than LOVE you know!) her 3 children (including 1 sweet angel baby). She dreams of being a children’s book illustrator some day, delights in killer deals, keeping everyone happy, and bedtime at the end of a loooong day. Click here to check out Kimberly’s blog, Easy At-Home Preschool. Interested in guest blogging on Squarehead Teachers? Click here. 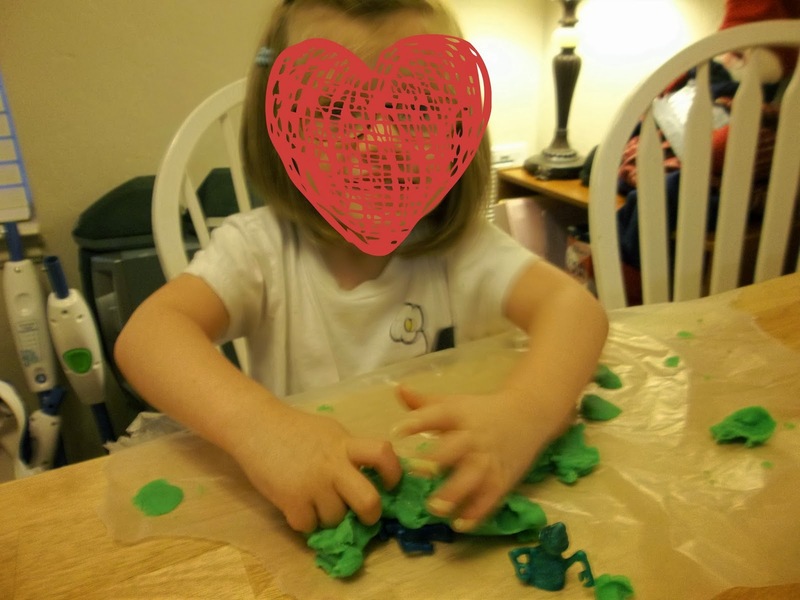 This entry was posted in Art/Crafts, Guest Post and tagged activity, Education, Homeschool, Kids, play dough, preschool, sensory play by Squarehead Teachers. Bookmark the permalink.